Given the issues we are having with accessing the coast due to the sea ice this year, it seems incredible that just over 100 years ago an Australian expedition landed in this region and spent a couple of years exploring. In 1910, Australian geologist Douglas Mawson began organising a voyage to explore and chart the essentially-unknown Antarctic coastline directly south of Australia. At the time very little was known about the area between Cape Adare, lying to the south of New Zealand, and Gauss Berg, south of the Indian Ocean. An American expedition in 1839, under the leadership of Wilkes, had previously reported land. Subsequent exploration, however, showed that most of these landfalls were incorrect and they had probably only encountered the pack ice. A year later, Dumont D’Urville came within sight of the Antarctic Coast and named the area Adélie Land after his wife. Mawson was well known, and had proved himself as an explorer during Ernest Shackleton’s 1907-1909 Nimrod Expedition to find the Magnetic South Pole, which was still on land a century ago (see blog post 16: The South Pole). The Australian Association for the Advancement of Science gave their approval to Mawson’s plans and pledged a significant sum of money towards the cost of the expedition. Large amounts of funding for the expedition was provided by Australian Commonwealth and State Governments, the British Government and the Royal Geographical Society, with the rest made up of donations from the public. Mawson’s expedition team of 35 individuals was selected primarily from young graduates from Australian and New Zealand universities. It also included a couple of previous acquaintances from his past adventures, including Frank Wild and Frank Hurley, and he recruited Lieutenant Belgrave Edward Sutton Ninnis of the Royal Fusiliers and Dr. Xavier Mertz, an expert Swiss glaciologist, mountaineer and explorer. The expedition vessel, SY Aurora, was originally built in Dundee, Scotland, and came from the Newfoundland sealing fleet. The Captain of the ship, and second in command, was John King Davis, whom Mawson had known during the Nimrod expedition. After being refitted in London and sailing to Australia, the Australasian-Antarctic voyage finally left Hobart in December 1911. They initially stopped at Macquarie Island southeast of Tasmania, and dropped off a team to set up a base. The main scientific objectives were to carry out geographical exploration, biological and geological collections, and undertake meteorological and magnetic observations. As well as land-based field work on Macquarie Island and Antarctica, the expedition also sampled the ocean and seafloor during the voyage. In early 1912 they first sighted land, which Mawson named Commonwealth Bay. On the far side of the bay was a cape, presumed to be Cape Découverte, the most easterly extension of Adélie Land. 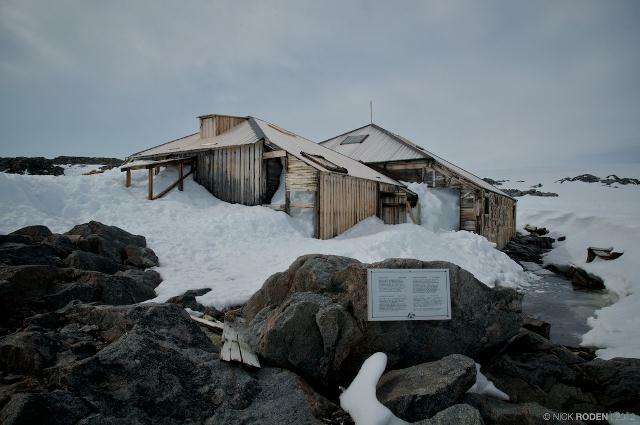 Mawson named the adjoining region King George V Land, after the British King. They established several bases in Antarctica. The main base was at Cape Denison in the middle of Commonwealth Bay. 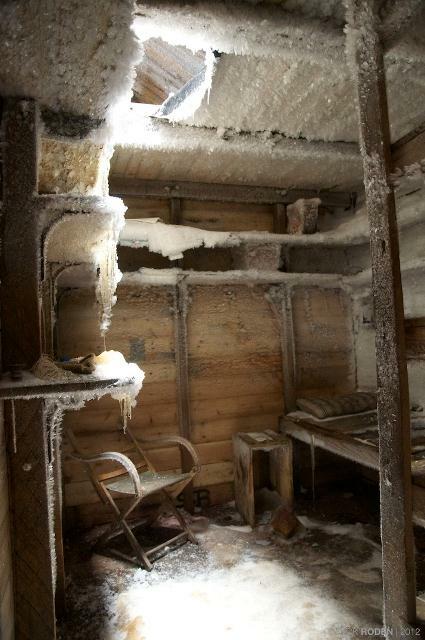 After a long winter trapped inside their hut by raging blizzards, several expeditions were sent off to explore in November 1912. Mawson led a 3 man sledging team to the east with Mertz and Ninnis and a team of Greenland husky sledge dogs. After 3 weeks of excellent progress the party was crossing a large glacier, when Ninnis, 6 dogs, most of the rations, tents and other supplies fell through a snow covered crevasse and were lost. Mawson and Mertz rationalised their gear to just the basics and with 10 days food immediately turned around and started to head back to Cape Denison. They supplemented their food supply by eating the 6 remaining dogs. However, after a couple of days Mertz began to deteriorate and died a few days later. It was unknown at the time that huskydogs’ livers contain extremely high levels of vitamin A, which is poisonous to humans. Mawson continued pulling a sled with geological specimens (a true dedicated scientist) and the last of the food the final 160 km back to the base at Cape Denison. Unfortunately he was too late as SY Aurora had departed just a few hours before he returned. They used the radio to recall the ship, but bad weather prevented any rescue attempt; and Mawson, and six men who had remained behind to look for him, wintered a second year until December 1913. The large glaciers in the region were named by Mawson after his companions Ninnis and Mertz. Many other geographical features were also named after members of the expedition and the ship. I recommend reading Douglas Mawson’s book “The Home of the Blizzard” to appreciate the conditions they endured on this expedition, and while others were racing to the poles, they dedicated their efforts to scientific exploration. Mawson is considered the grandfather of Australian Antarctic and Southern Ocean Science, with a large celebration held last year on the centenary of this scientifically successful expedition.